Edval has designed a quick and easy way to schedule parent-teacher interviews or events. 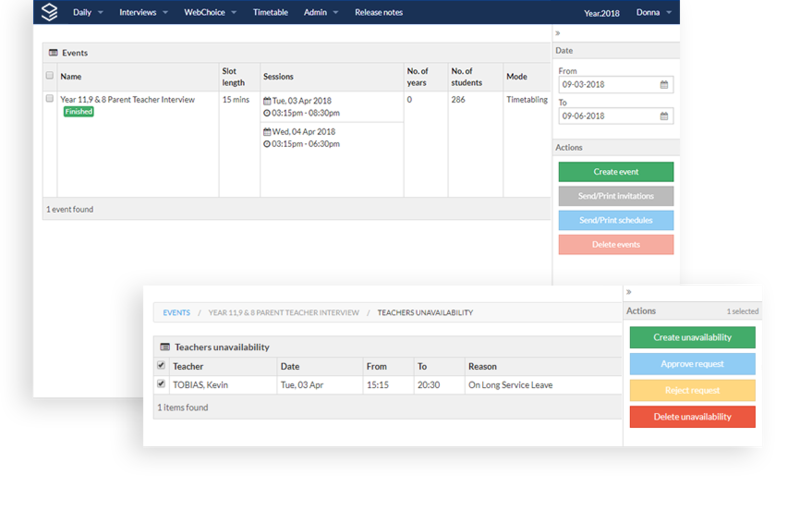 The intuitive booking system removes the stress of collecting responses and allocating times, helping the school and the parents get the most out of their meetings. Edval knows not every school is the same. That's why we have optional extras and standard software you can choose from. Edval Interviews is the full version that has all the features listed above. It includes the features and functions of the first tier plus more advanced capabilities, i.e.availability, teachers they want to see, etc. This is commonly referred to as the Timetabling Mode, which works best for events involving a big number of interviews and more complex requirements. 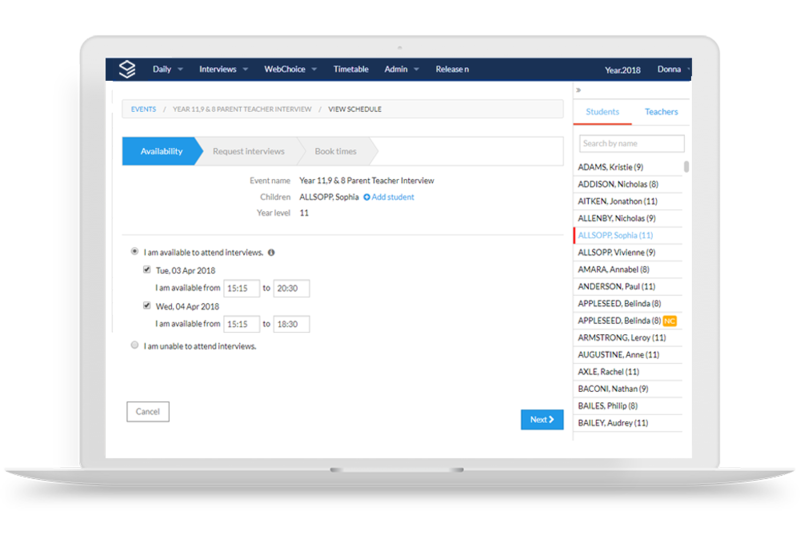 Edval Interviews Essentials is a simplified version of Edval Interviews. 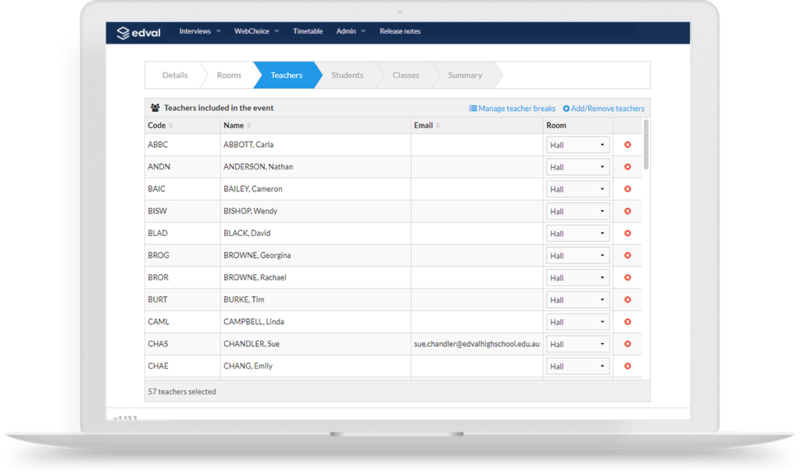 This package allows a school to set up simple events and parents are able to book appointments instantly – commonly referred to as Booking Mode. Get in touch with our friendly team to learn more.